A strike atSinopacific’s shipyard in Jiangsu’s Dayang city entered its third day, with around one-fifth of the 5,000-strong workforce supporting the action. The workers at the privately owned shipbuilder walked out on Wednesday 16 September, over a three-month delay in the payment of wages. Tang told RFA the factory was widely believed to be in financial difficulties. The strike in Jiangsu, a key shipbuilding province, is one of a spate of industrial stoppages in the industry and other heavy industries hardest hit by the sharp economic slowdown in China. 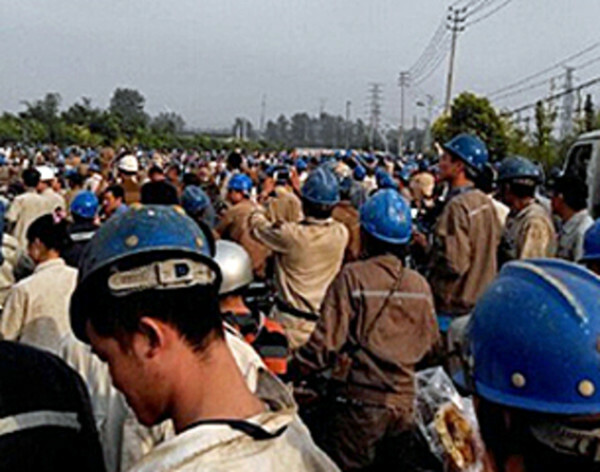 A strike at a yard Zhenghe Shipbuilding in nearby Zhejiang province broke out earlier this month. 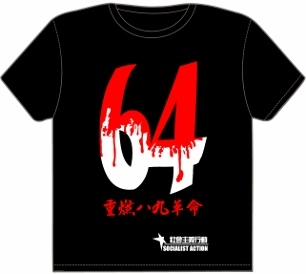 That action was in protests against the company suspending operation beginning 1 September due to “financial issues”. Shipyards are one of several industries facing an “economic winter”. 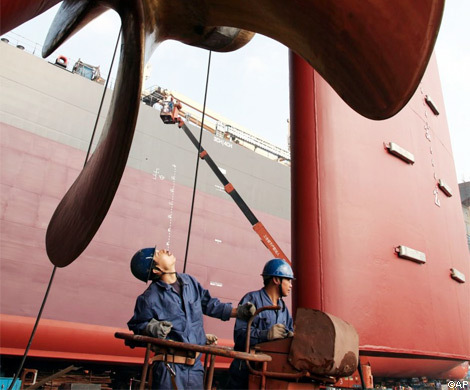 Orders at Chinese shipyards fell 77 per cent in the first quarter of this year. Ren Yuanlin, the boss of Yangzijiang, China’s biggest private shipbuilder, warned that of more than 100 shipyards in the country today, only 30 would be ”active” three years from now. In the case of Sinopacific, the company claims it has a healthy order book and that its problems were due to the “credit squeeze” by Chinese banks forcing them to seek alternative sources of financing. 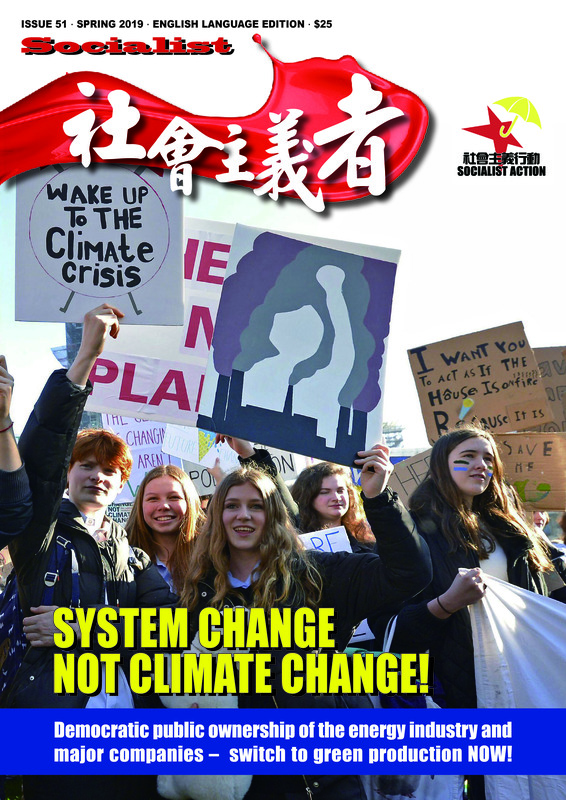 There have been at least 1,622 strikes in China this year, according to the Hong Kong-based China Labour Bulletin, which keeps a tally based on social media reporting of work stoppages and protests. Of these 75 percent, or 1,211 strikes, were over wage arrears. These largely defensive struggles to obtain wages or compensation after closure announcements are proliferating as the economy slows and credit problems multiply. Many industrial workers, who are mostly migrants from other provinces, choose to move on when a company announces closure or relocation. In the past with a booming economy there were always openings somewhere else. But this is changing as China’s industrial output stutters and the Chinese government opts for a more market-based stance of allowing bankruptcies and defaults apart from where a ‘systemic’ risk exists. Workers’ struggles are likely to become longer, more complex, and need to turn to more organised forms. The struggle for independent trade unions and underground workers’ organisations could therefore be entering a new phase.